Devastated by the tragic death of his fiancée, Eshan Wallace had lost more than just the will to live in the moments that followed her accident. For his crimes against the man who took her from him, Eshan faces a grim ultimatum. Imprisonment and learn to live by the rules of criminal society or accept a year of solitary duty on Pluto’s moon. But when his decision leads to a distant listening post on the outer edge of the solar system, Eshan quickly discovers that some things are not only half-truths, some are outright lies. With the revelation of a corrupt government enslaving earth’s inhabitants in the cold recesses of space and the burning desire to expose the truth about Earth’s new allies, the Zeta Greys, Eshan has no choice but to join forces with the enemy if he is to reveal the conspiracy. But who will believe a convict that joined forces with the enemy? Can Eshan stop the global elite that wants the planet cleared of the over populating masses? Or will his past return to haunt him once again? 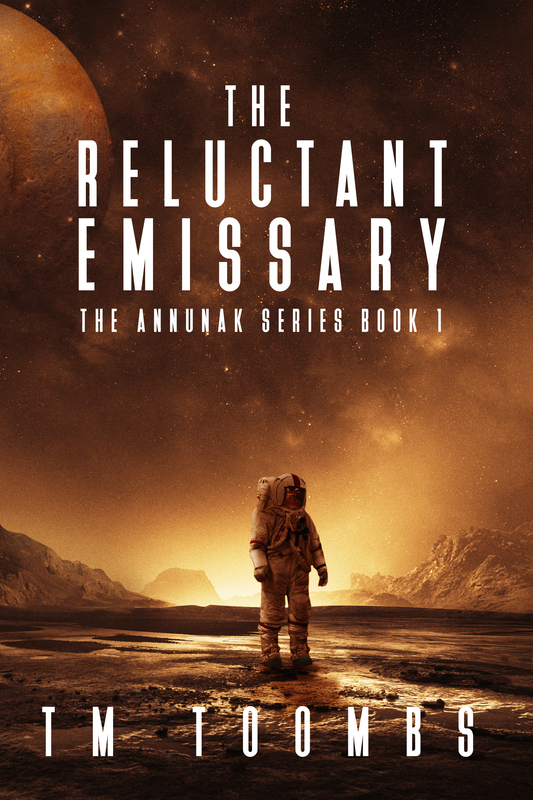 The Reluctant Emissary is the first installment of a must-read new Sci-fi adventure series! If you like Enemy Mine by Barry B. Longyear or Of Men and Monsters by William Tenn then you will love The Annunak Series by TM Toombs! Sign up for my newsletter to receive information on release date. CLICK HERE!